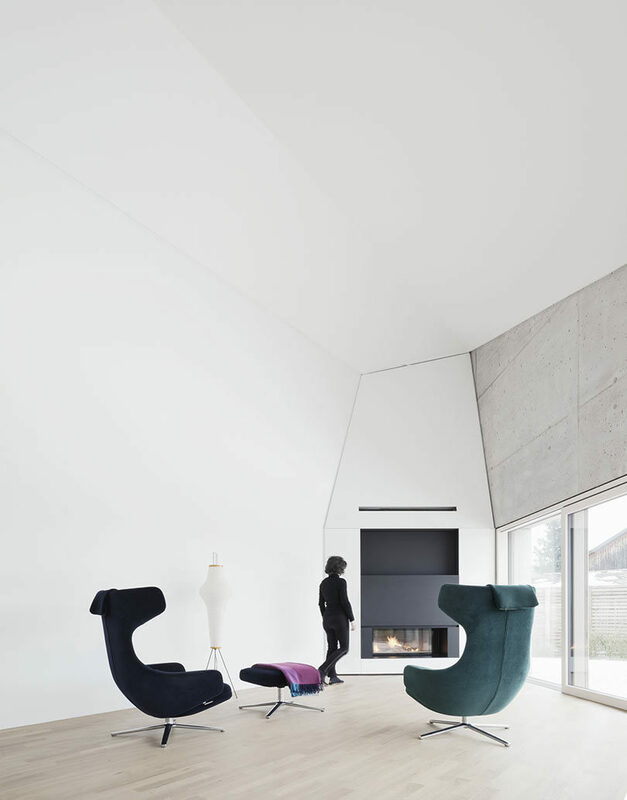 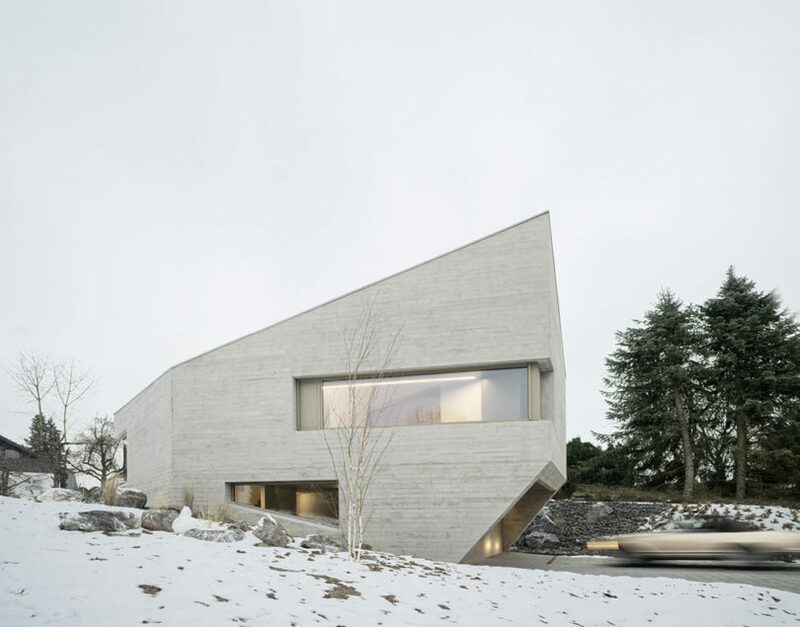 Situated on a quiet street in the German village of Pliezhausen, just south of Stuttgart, is the E20_House, a crystal-shaped monolith designed by Steimle Architekten. 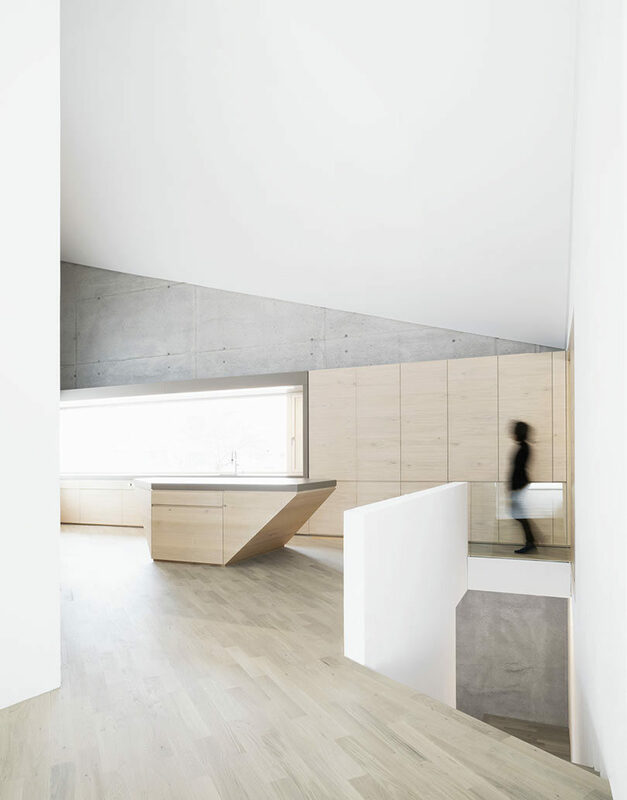 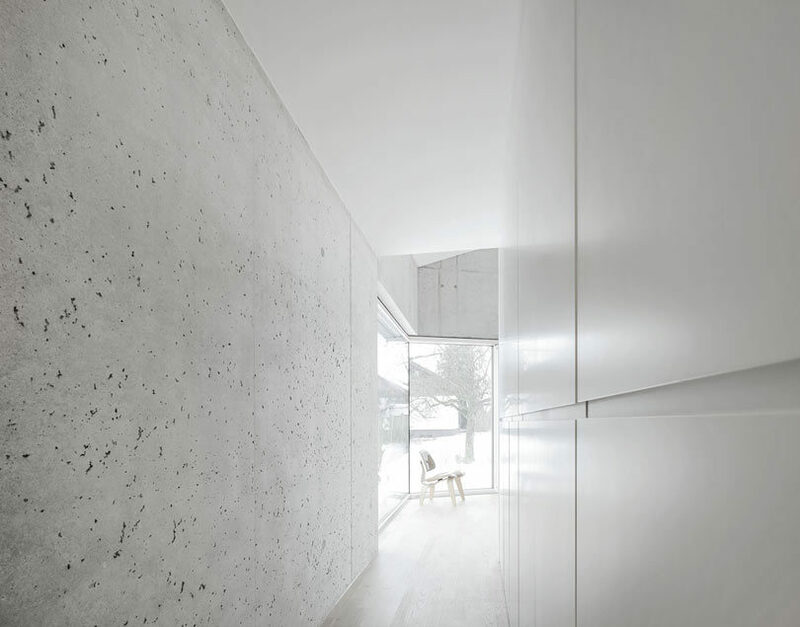 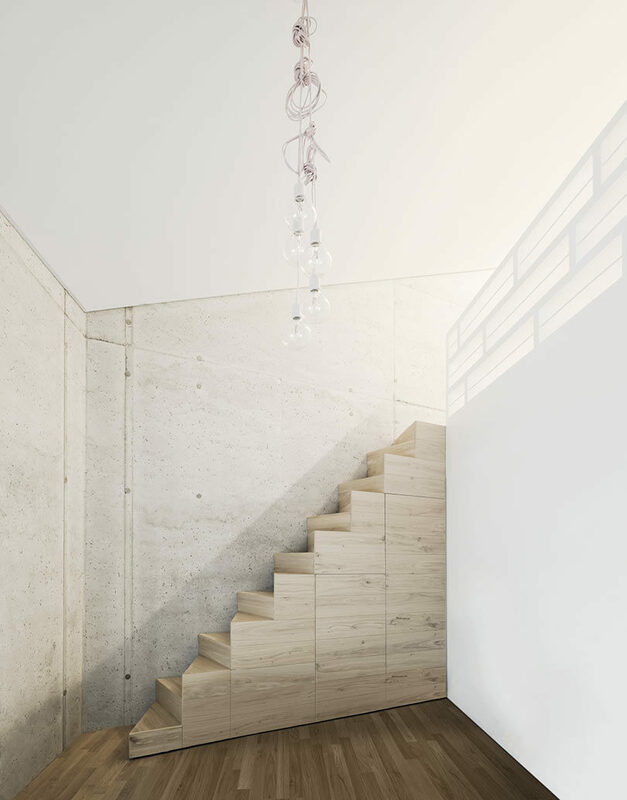 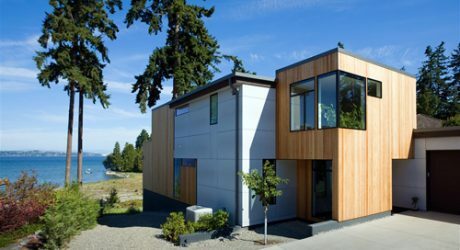 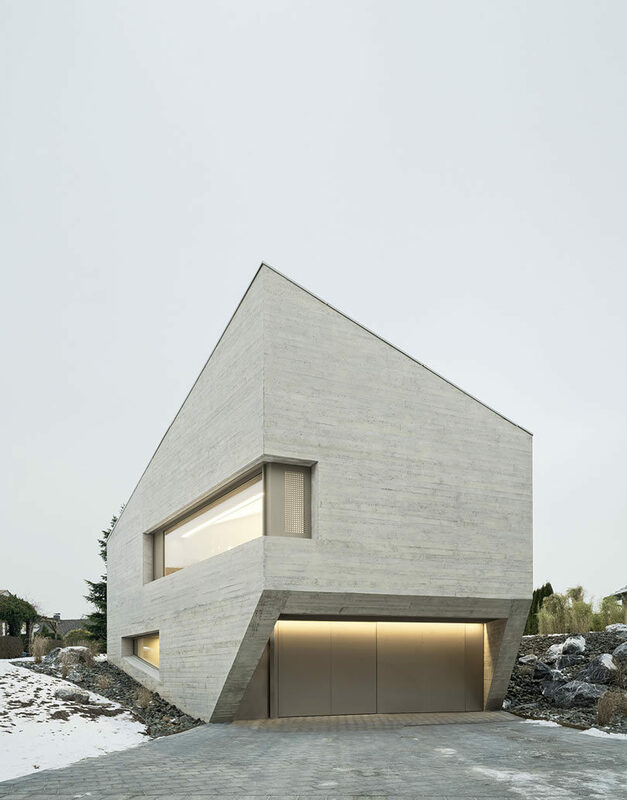 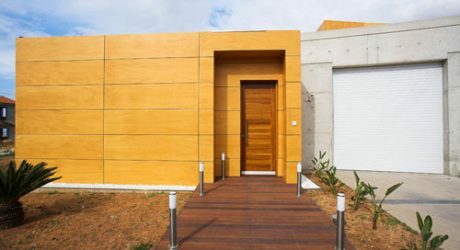 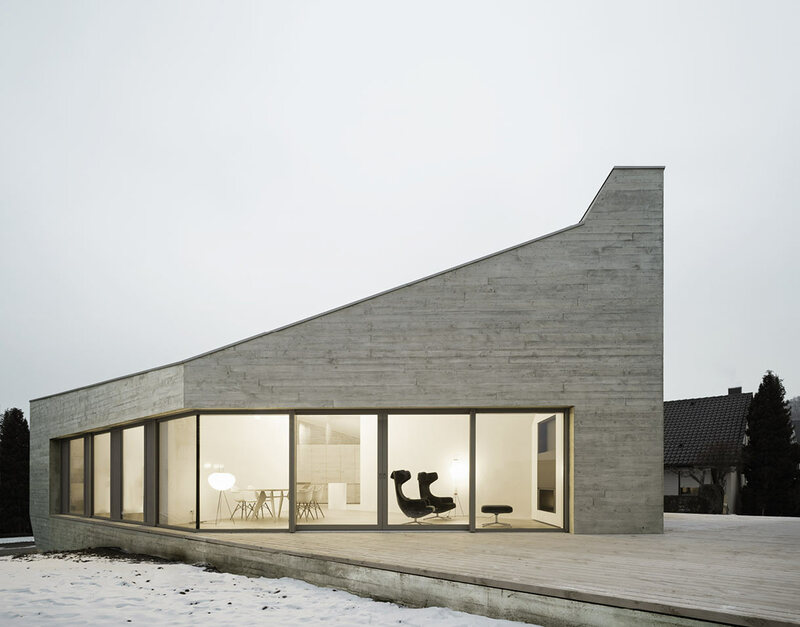 The concrete house faces the street with minimal windows to ensure privacy from passersby. 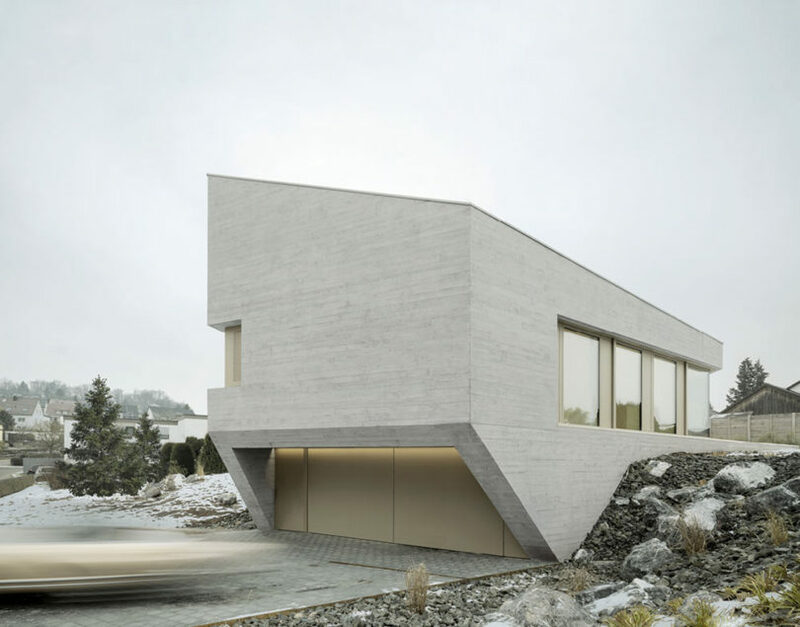 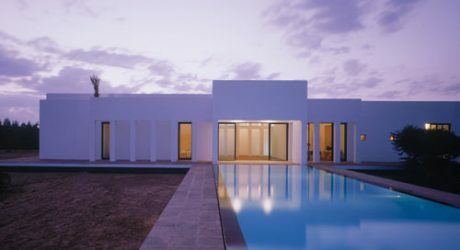 The two shorter sides of the house run parallel with dramatic roof lines sloping down to give the geometric house a sculptural feel. 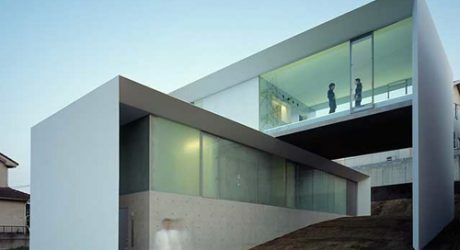 Other parts of the house feature large sliding glass doors that frame the surrounding views while allowing light to enter the interior. 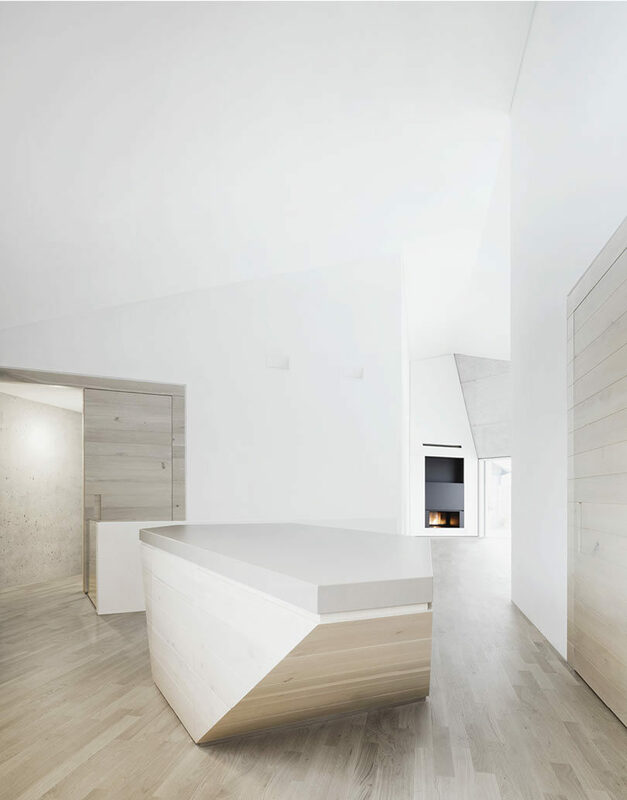 A flight of stairs leads from the entrance to the main level of the home which feels expansive thanks to the morphing ceiling heights. 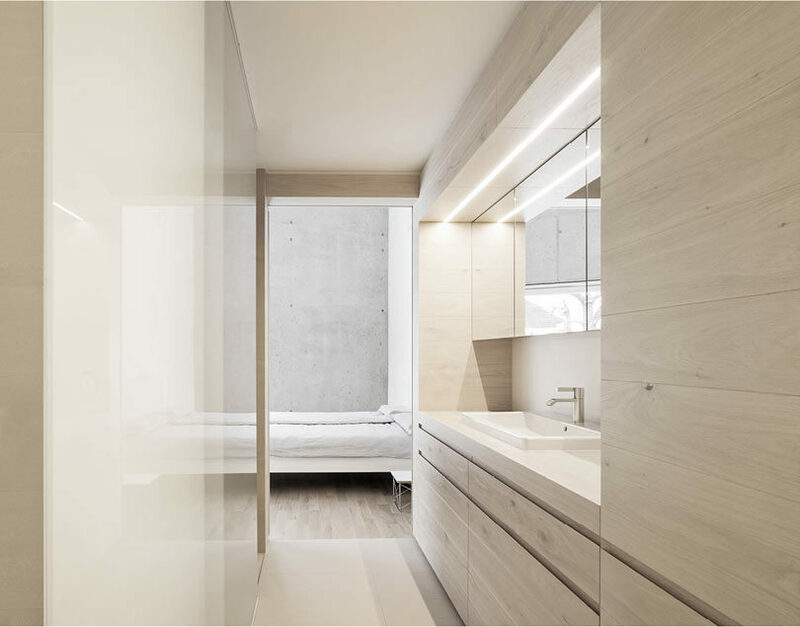 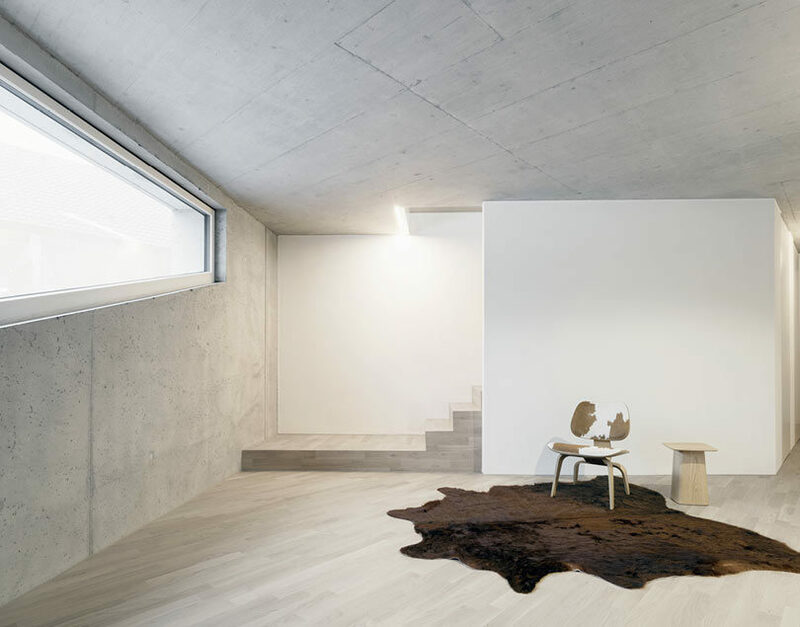 The interior boasts a minimalist color palette with light oak woods, concrete, and white surfaces throughout. The rooms unfold as the ceiling height changes continually creating visual interest. 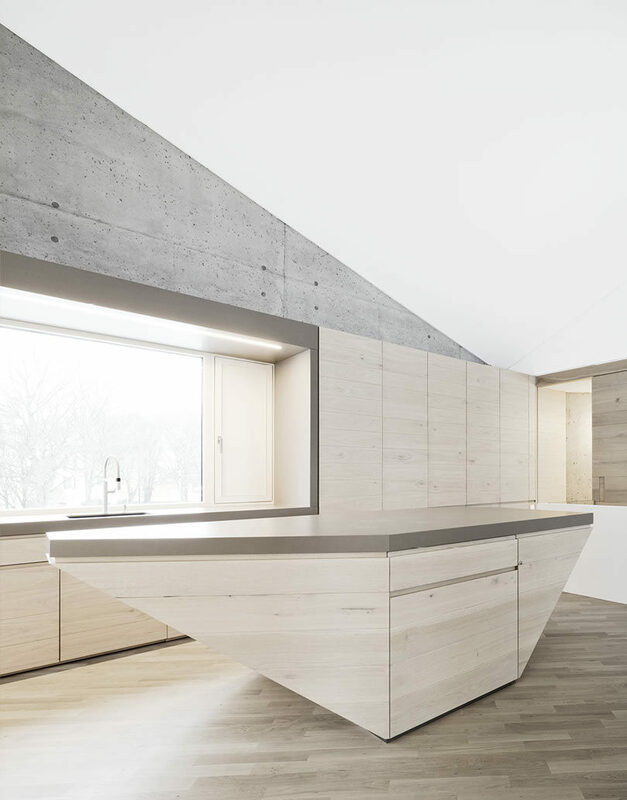 Clean, honest, beautiful design. 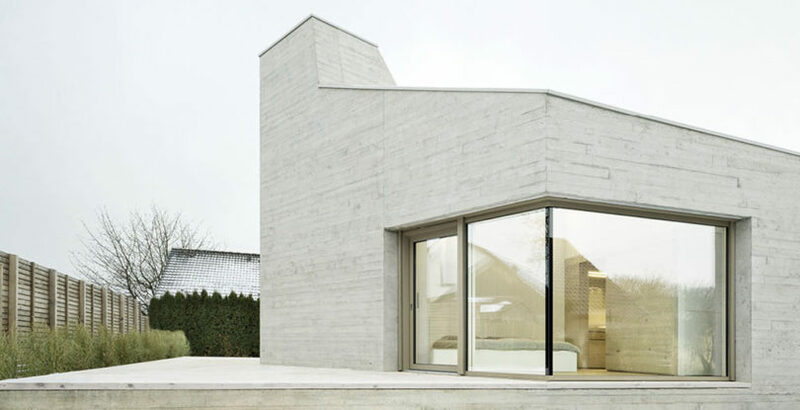 Well done Steimle Architekten! 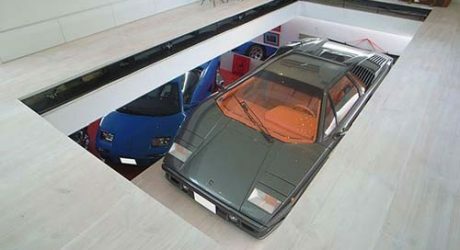 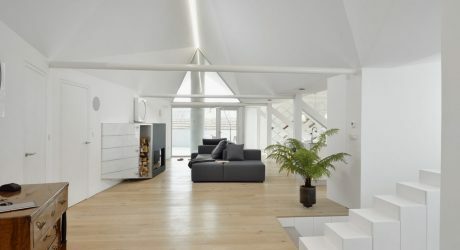 This space is great. 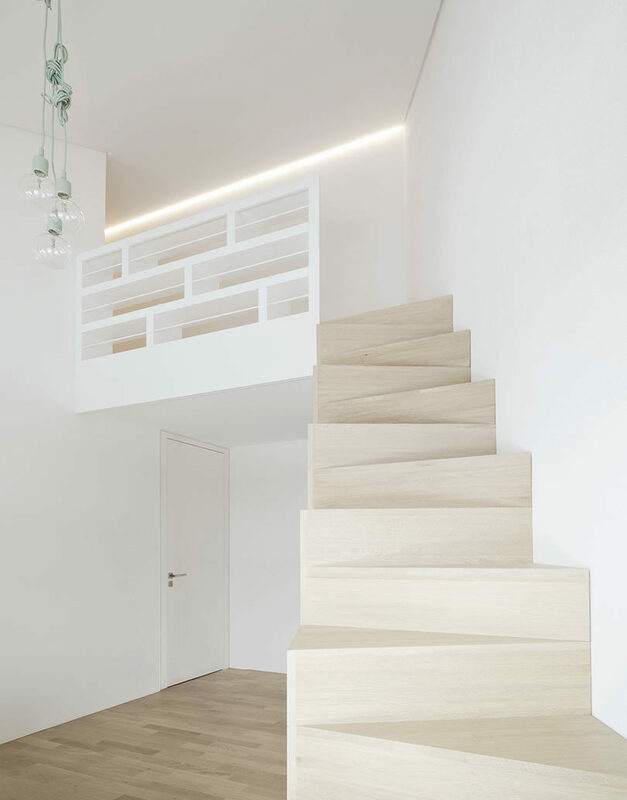 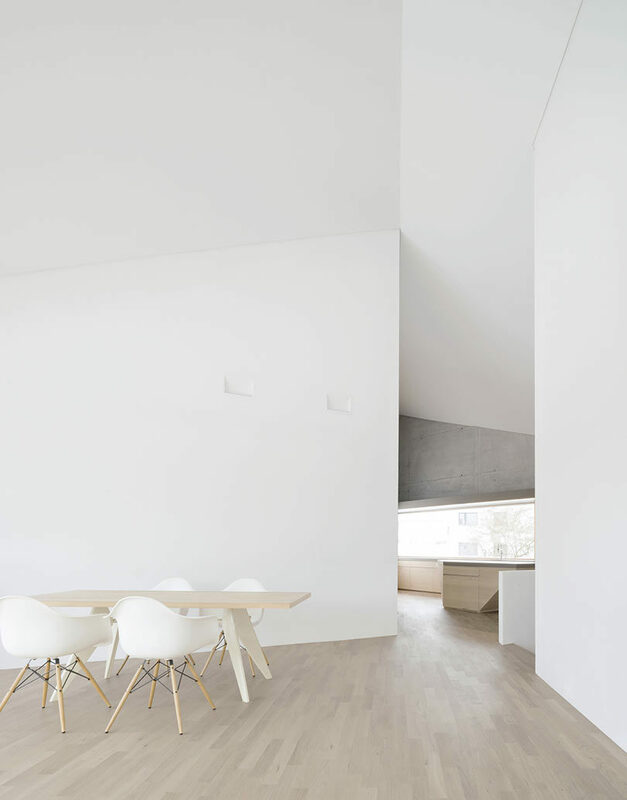 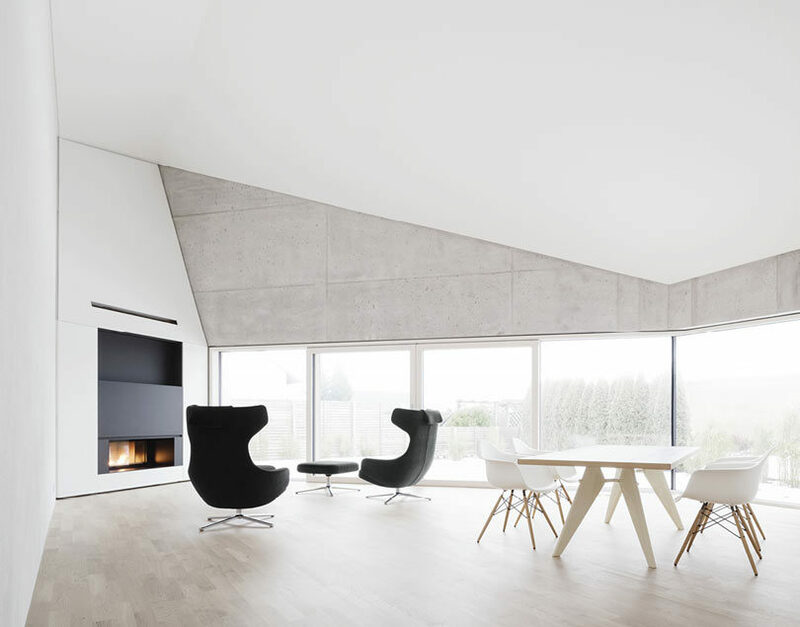 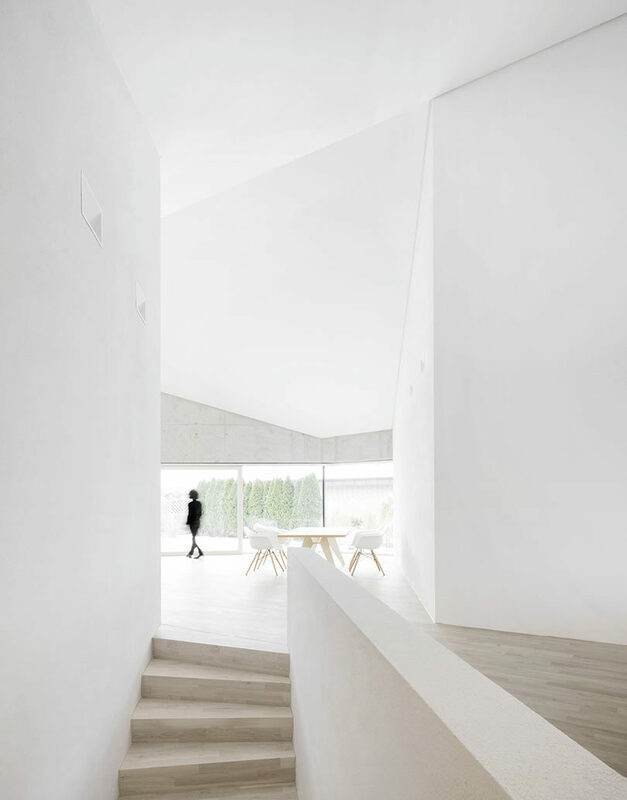 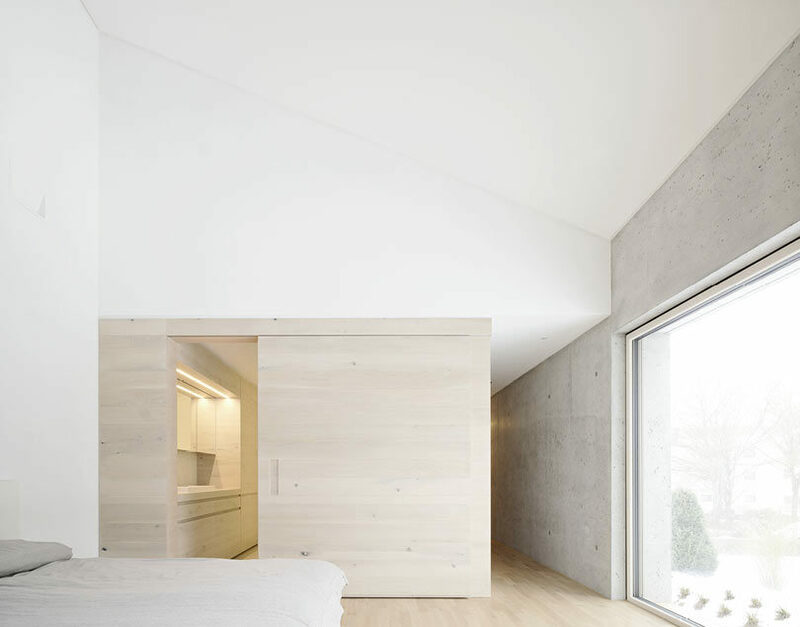 The light wood, interesting shapes, clean lines, and white walls really make this home a modern beauty. 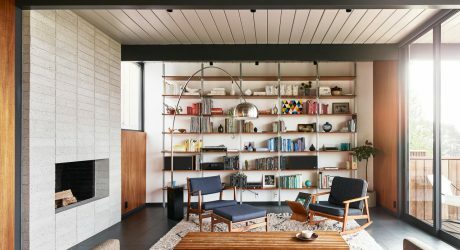 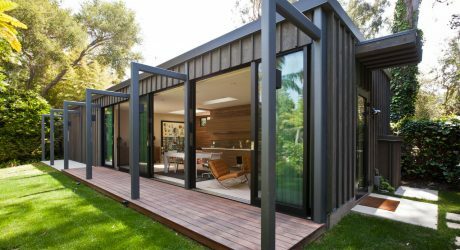 A 1965 Eichler home in San Francisco gets a renovation that respects its mid-century heritage. 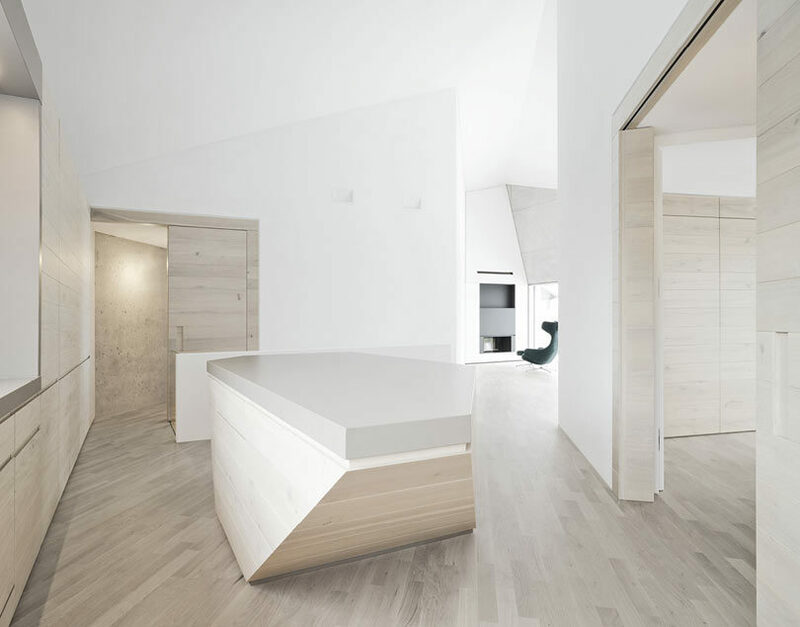 An attic apartment in the center of Ljubljana, Slovenia, with a faceted ceiling that directs eyes towards the sun. 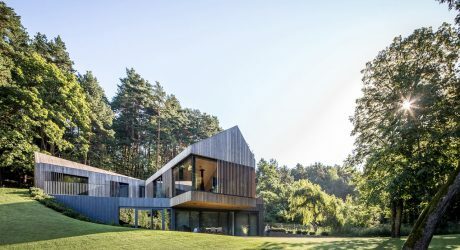 A modern villa in Lithuania is surrounded by a lush forest of trees making for a peaceful existence.